Perricone MD's Pre:Empt Travel Kit combines a selection of anti-aging products that work in synergy to promote smoother, younger-looking skin. The Pre:Empt Series utilizes a naturally derived Nrf2 Antioxidant Support Complex™ to pre-empt first signs of aging, noticeable pores, dullness and uneven texture; it helps improve skin’s natural ability to defend against oxidative stress and environmental aggressors. 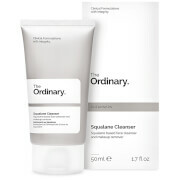 A lightweight and refreshing solution that gently exfoliates skin to refine rough areas and minimize the appearance of pores. Smoothing and clarifying, it utilizes the brand's Nrf2 Antioxidant Support Complex™ to help combat first signs of noticeable pores whilst its dose of DMAE firms skin for youthful-looking results. 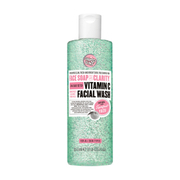 It gently resurfaces skin to promote a healthy, radiant glow. Skin is left soft, smooth and renewed with a more even texture. A lightweight, oil-free serum infused with a high concentration of Nrf2 Antioxidant Support Complex™ to combat visible signs of aging. Melting into skin, it delivers brightening and firming properties whilst targeting fine lines, pores and dryness to promote a healthier, younger-looking and refined complexion. Rich in antioxidants, the silky solution will improve the skin's natural barrier to help defend against external aggressors, and its dose of Alpha Lipoic Acid minimizes the look of wrinkles and pores for transformed skin texture. Ideal as a makeup primer. A lightweight, oil-free moisturizer that works to combat visible signs of aging, including fine lines, dullness and uneven skin texture. Utilizing an Nrf2 Antioxidant Support Complex™, the cream melts effortlessly into skin, hydrating and conditioning whilst delivering a host of antioxidants to keep skin safe from external factors. 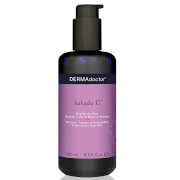 Helping to preserve a youthful complexion, it contains Vitamin C Ester for brightening and firming action. Skin feels nourished and protected. Won't clog pores. A re-energizing eye cream infused with an Nrf2 Antioxidant Support Complex™ and gentle Avocado Oil to help diminish signs of aging and fatigue around the delicate eye area. Nourishing and brightening, it contains light-reflecting pearls that help eradicate the appearance of dark circles and puffiness, whilst its firming properties combat the look of fine lines. Delicate skin around the eyes looks younger, wide awake and refreshed. Pore Refiner: Apply onto cleansed skin by saturating a cotton pad and smoothing all over face and neck in the morning and evening. Serum: Shake well. Apply liberally onto face and neck in the morning. Hydrating Cream: Apply to face and neck in gentle circular motions in the morning and evening. Eye Cream: Apply along the eye contour in gentle patting motions. Use morning and evening. Avoid contact with eyes. If contact occurs, flush immediately with water. Pore Refiner: Water/Aqua/Eau, Polysorbate 20, Vaccinium Myrtillus Fruit Extract, Betaine Salicylate, Triethyl Citrate, Dimethyl MEA, Citrus Aurantium Dulcis (Orange) Fruit Extract, Citrus Limon (Lemon) Fruit Extract, Acer Saccharum (Sugar Maple) Extract, Olea Europaea (Olive) Leaf Extract, Epigallocatechin Gallatyl Glucoside, Tetrahydrodiferuloylmethane, Saccharum Officinarum (Sugar Cane) Extract, Tetrahydrodemethoxydiferuloylmethane, Lepidium Sativum Sprout Extract, Tetrahydrobisdemethoxydiferuloylmethane, Tocopherol, Lecithin, Xanthan Gum, Disodium EDTA, Glycerin, Benzyl Alcohol, Potassium Sorbate, Phenoxyethanol, Fragrance/Parfum, Amyl Cinnamal, Hydroxycitronellal, Linalool. Serum: Water/Aqua/Eau, Hexylene Glycol, Glycerin, Isohexadecane, Polysorbate 20, Dimethyl MEA, Thioctic Acid, Tetrahexyldecyl Ascorbate, Palmitoyl Tripeptide-5, Acetyl Tyrosine, Lepidium Sativum Sprout Extract, Olea Europaea (Olive) Leaf Extract, Magnesium Ascorbyl Phosphate, Tetrahydrodemethoxydiferuloylmethane, Epigallocatechin Gallatyl Glucoside, Tocopheryl Acetate, Tetrahydrodiferuloylmethane, Tetrahydrobisdemethoxydiferuloylmethane, Lecithin, Carbomer, Disodium EDTA, Sorbitol, Caprylyl Glycol, Phenoxyethanol, Fragrance/Parfum, Amyl Cinnamal, Hydroxycitronellal, Linalool. Hydrating Cream: Water/Aqua/Eau, Ethylhexyl Palmitate, Glycerin, Caprylic/Capric Triglyceride, Butyrospermum Parkii (Shea) Butter, Hexylene Glycol, Cetearyl Olivate, Glyceryl Stearate, Squalane, Dimethyl MEA, Tetrahexyldecyl Ascorbate, Lepidium Sativum Sprout Extract, Tetrahydrodiferuloylmethane, Olea Europaea (Olive) Leaf Extract, Tetrahydrodemethoxydiferuloylmethane, Epigallocatechin Gallatyl Glucoside, Sodium Hyaluronate, Gluconolactone, Tetrahydrobisdemethoxydiferuloylmethane, Chondrus Crispus Extract, Acetyl Tyrosine, Panthenol, Lecithin, Ethylhexylglycerin, Sclerotium Gum, Sodium Stearoyl Lactylate, Sorbitan Olivate, Sodium Acrylates Copolymer, Cetearyl Alcohol, Sodium Benzoate, Phenoxyethanol, Fragrance/Parfum, Amyl Cinnamal, Hydroxycitronellal, Linalool. Eye Cream: Water/Aqua/Eau, Caprylic/Capric Triglyceride, Cetyl Alcohol, Hexylene Glycol, Stearyl Alcohol, Glycerin, Polysorbate 20, Dimethyl MEA, Tetrahexyldecyl Ascorbate, Butyrospermum Parkii (Shea) Butter, Tetrahydrobisdemethoxydiferuloylmethane, Persea Gratissima (Avocado) Oil, Sodium Hyaluronate, Caffeine, Olea Europaea (Olive) Leaf Extract, Lepidium Sativum Sprout Extract, Tetrahydrodiferuloylmethane, Tetrahydrodemethoxydiferuloylmethane, Epigallocatechin Gallatyl Glucoside, N-Hydroxysuccinimide, Acetyl Tyrosine, Lecithin, Carbomer, Citric Acid, Glyceryl Stearate, PEG-100 Stearate, PEG-12 Glyceryl Dimyristate, Caprylyl Glycol, Steareth-20, Phenoxyethanol, Iron Oxides (CI 77491), Silica, Titanium Dioxide (CI 77891).